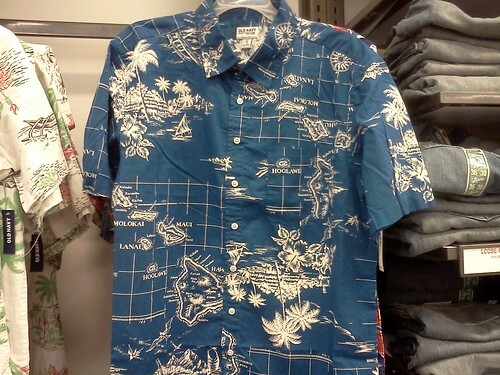 A week or so ago I headed to Old Navy to stock up on some summer clothes for our trip to Kauai. (Next weekend!) 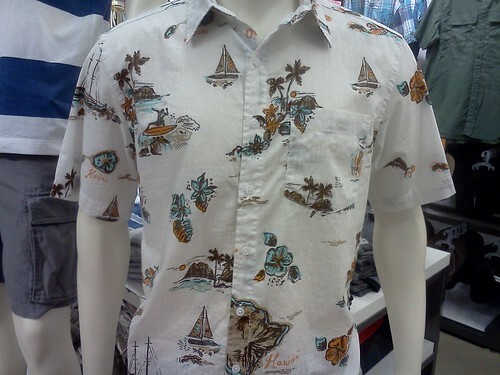 The Burbank store must have been on the same Hawaiian wavelength since they had a bunch of Aloha shirt styles in the men’s section. Naturally, the most notable of the lot was this white and green one with spooky looking tikis, palm trees, thatched huts and tiki torches. (Close-ups here and here.) 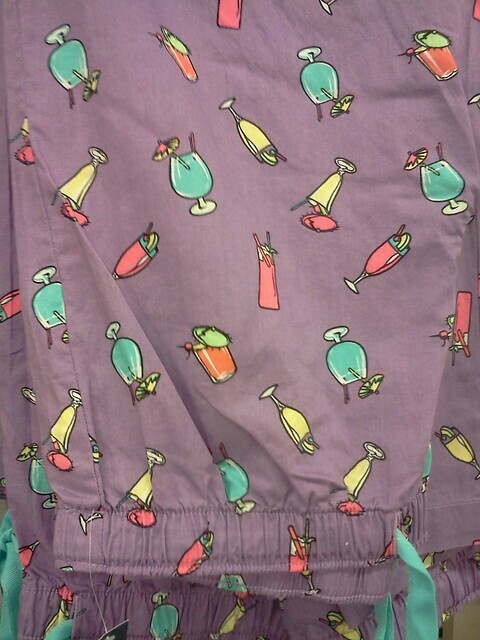 They were on sale for $15.50 from $25, so I picked one up for Mr. 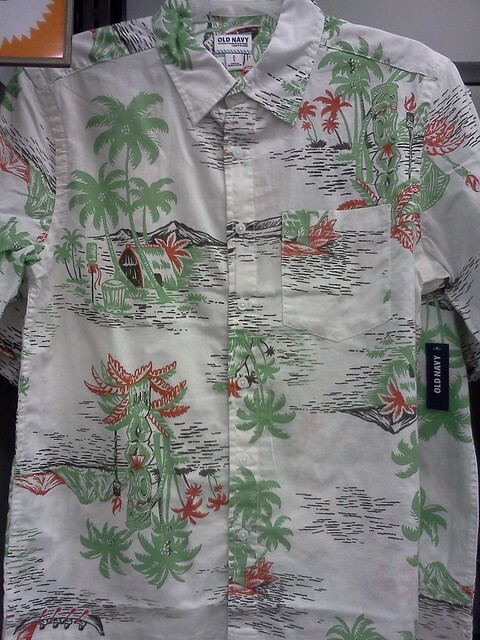 Baseball so he can blend in at tiki shindigs. This cobalt blue number caught my eye as well so I picked up a size small for myself (even though I tend to prefer tiki dresses or skirts). 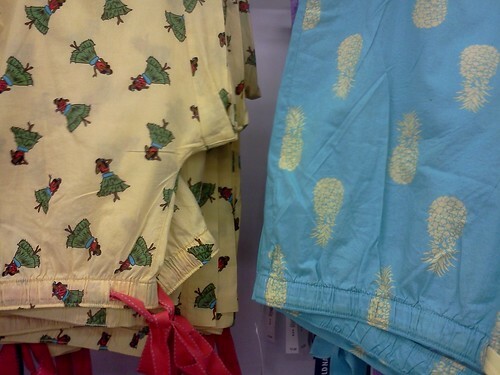 Unfortunately, these shirts don’t seem to be available online, but they do have tiki printed boxers. ← Mickey Mouse & Tiki Aloha Shirt – Elias & Co.